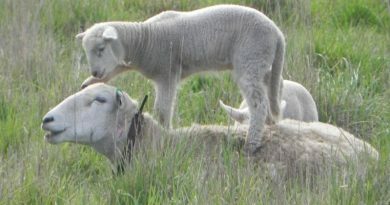 Moffitts Farm is available to visit by arrangement. 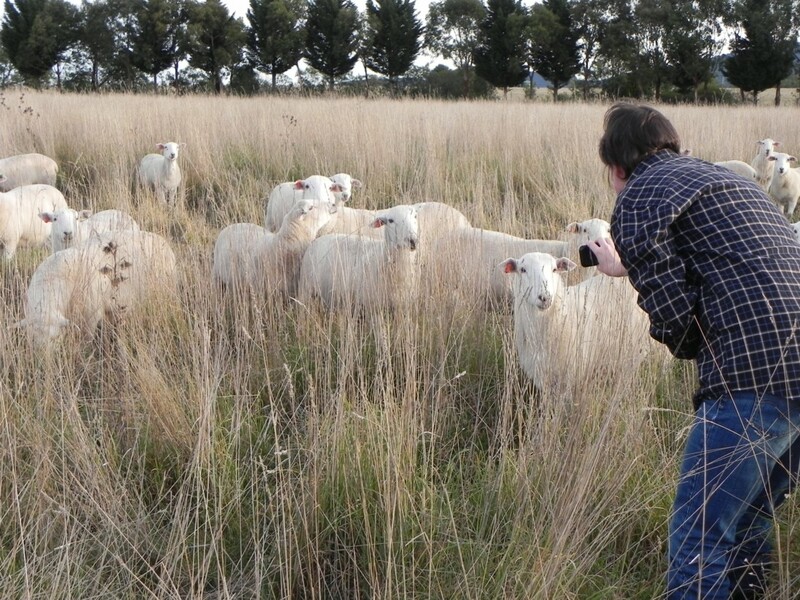 Livestock on Moffitts Farm usually ‘participate’ in farm walks as they are unstressed by visitors inspecting their pastures. 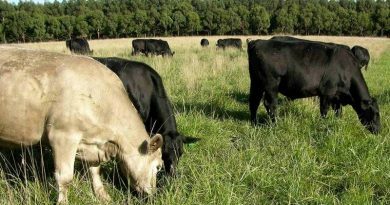 For livestock farmers, the emphasis is on technical and practical issues associated with pasture species, grazing management methods, soil health, fertilisers, livestock health, gross margins, minimising costs and capital, simplifying work load, and minimising low rainfall year stress. 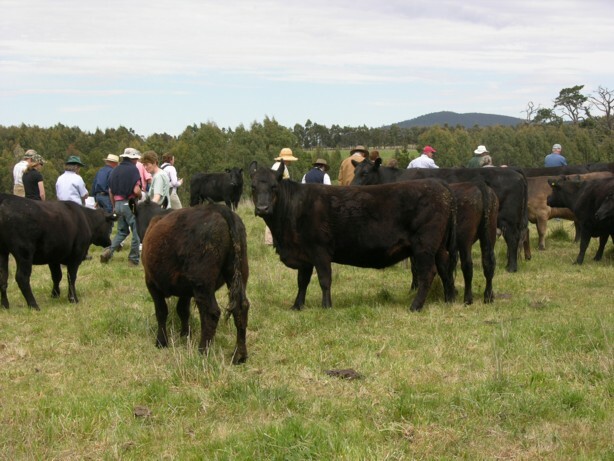 Years of records showing soil analyses, individual paddock livestock carrying capacity, pasture persistence, and livestock health provide a data background to demonstrate what happens when grazing systems change. For intending farmers, the emphasis is placed on farm planning to set up connections between pastures and ecosystem services. This involves setting up the farm’s natural and pastoral resources to be a low input, low cost, low stress business or lifestyle. Planning for conservation covers establishment of biodiversity corridors, farm timber plantations and riparian reserves. Combined they make a farm a pleasure to own and operate. The common threads associated with different farming methods such as biological, organic, holistic, and agricultural science are explored so participants have a more informed perspective about the direction they may take on their own farms. 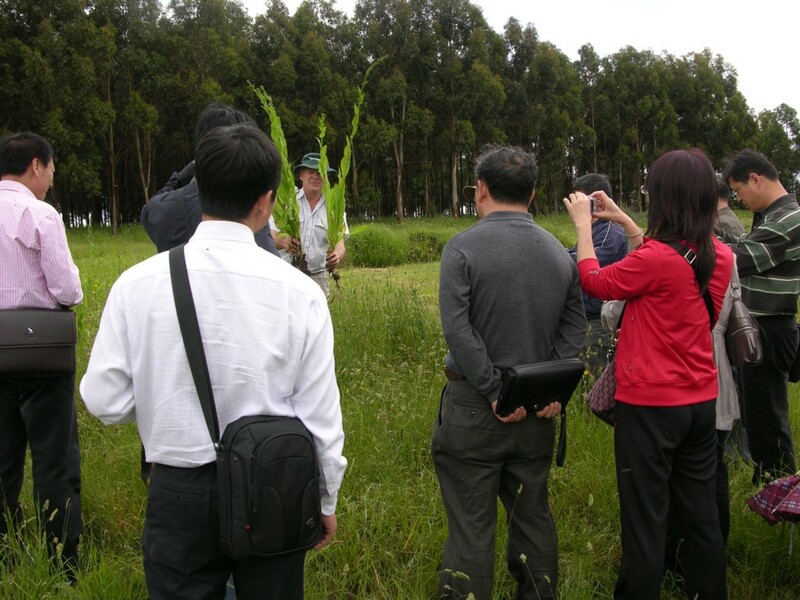 For non-farmers, people who are interested in farming methods, the workshop concentrates on demonstrating the connections between pasture, livestock, forestry, biodiversity corridors and ecosystem services, livestock welfare and healthy food. 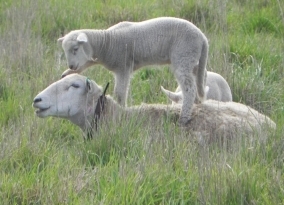 After starting on a farm plan to improve the farm environment in conjunction with livestock production in 1986, Moffitts Farm has the evidence in its physical resources and data to show that farming and improving ecosystem services are not only compatible but are synergistic, that is, each improves the other. 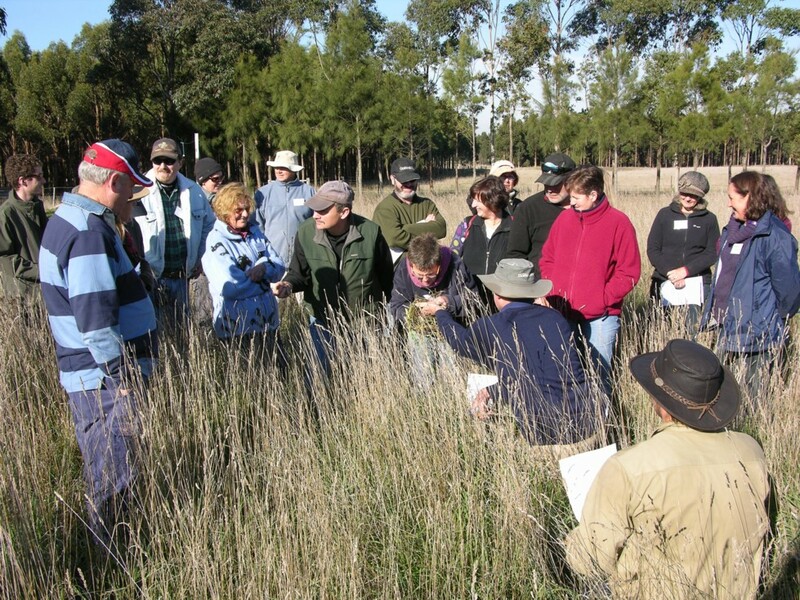 Participants have the opportunity to hold and smell healthy pasture soil, walk through biodiverse pastures, conservation corridors and farm forests and ‘talk’ to content livestock that are happy to mix with them. 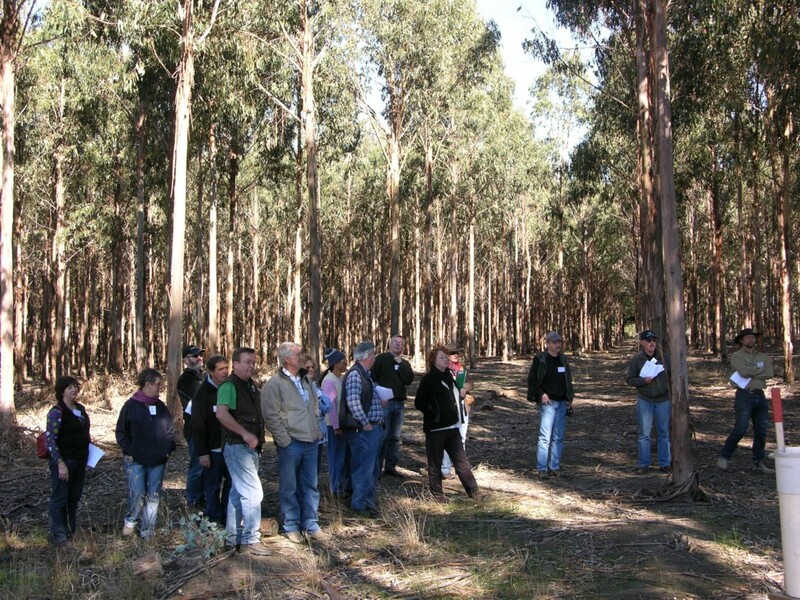 Workshops are conducted with a minimum of 8 people and a maximum of 20 and are often undertaken in conjunction with landcare, education and farmer groups. They usually run for three to four hours. 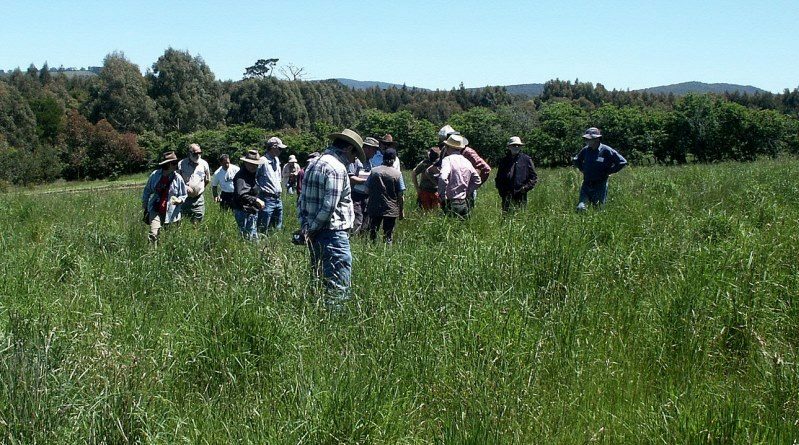 There is an opportunity to conduct additional tutorials for workshop participants who want to explore opportunities for their own farms and can bring with them details of soil tests, pasture species, paddock sizes etc. 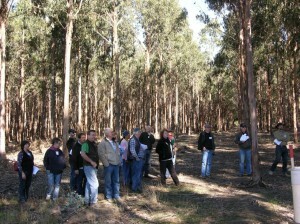 Price for the workshop is negotiated based around time needed and if a lunch is required. A delegation of Chinese agricultural scientists were keenly interested in the performance of pasture species. 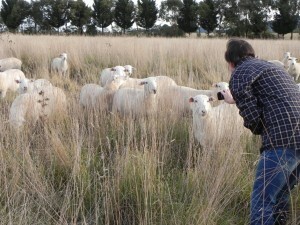 Smelling the soil in pasture paddocks is a novel experience for most visitors.